Radio Frequency Identification (RFID) technology is linked to waste management and recycling in two complementary ways: as objects, tags contain a variety of materials whose management and recycling is desirable on environmental grounds. These materials vary with the type of tag and their significance will increase as tags become more pervasive. On the other hand, tags can themselves contribute to the efficiency and effectiveness of recycling at various stages in the lifecycles of a wide range of products ranging from simple materials to complex objects containing a variety of materials. 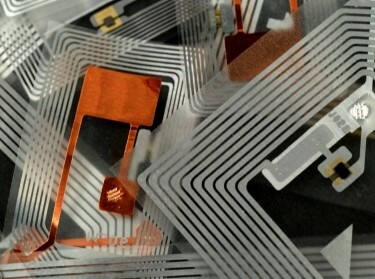 The study, funded by the European Commission, aims to inform policy making by assessing the environmental impact of the RFID tags themselves as well as the environmental advantages that the use of RFID can provide to product lifecycle management. An integral goal is to identify the associated obstacles and needs for policy action and/or research activity. This Interim Report represents an important deliverable of the project. It presents preliminary findings of our research conducted in the initial phase of the study (February 2011- February 2012). The study, led by RAND Europe and conducted in partnership with the Department of Processing and Recycling at RWTH Aachen University and P3 Ingenieurgesellschaft, applies a number of different quantitative and qualitative methodologies, including systematic literature reviews, key informant interviews, use cases and case study analysis, and scenario development. Helen Rebecca Schindler, Nico Schmalbein, et al. This working paper was prepared by RAND Europe for the European Commission DG Information Society and Media. Europe, RAND, SMART TRASH: Study on RFID tags and the recycling industry: Interim Report (D3) SMART 2010/0042. Santa Monica, CA: RAND Corporation, 2012. https://www.rand.org/pubs/working_papers/WR922.html.